Before I knew it, summer was almost over and I hadn’t made any popsicles yet. I fully plan on enjoying homemade popsicles well into fall this year. This sophisticated, coconut popsicle is creamy and has a lovely chewy texture. The toasted, shredded coconut floats to the top (which then becomes the bottom of your popsicle) and creates a macaroon like texture. If you want the whole popsicle to taste like a macaroon, then you might want to add an extra pinch of salt and use up to 1 cup of toasted, shredded coconut. adapted from here; Note: I have a small, seven piece, popsicle mold as shown in the photo above. You may need to adjust the ratios/volumes to suit your popsicle mold. In a large bowl, whisk together the coconut milk, half & half, sweetened condensed milk, salt, and vanilla extract until well combined. Then stir in the toasted, shredded coconut. 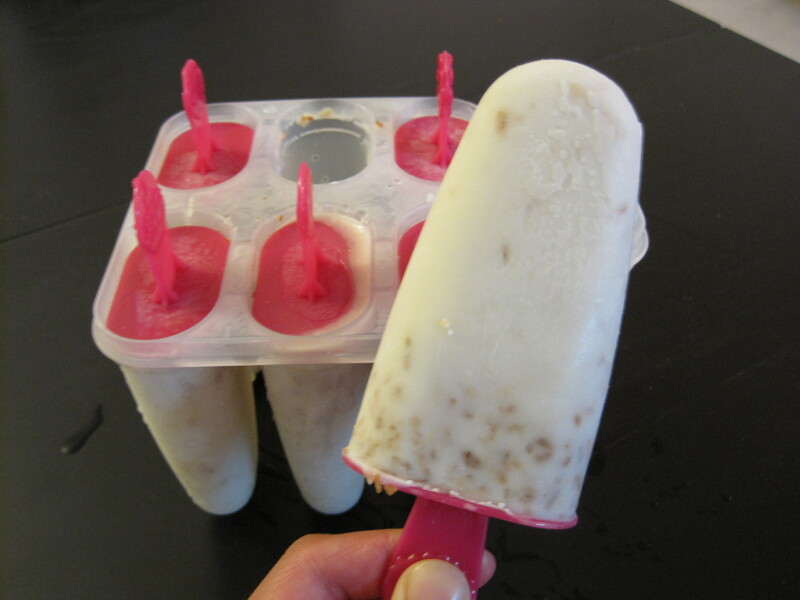 Pour this into your popsicle mold and freeze until firm all the way through, at least 5 hours. To remove the popsicles from the mold, run some warm tap water over the outside of the mold until the popsicle slides out easily.